Thank you for another successful edition of ECS! Embedded Conference Scandinavia once again gathered the international embedded industry in Stockholm. Thank you to everyone who attended for making the 13th edition of ECS a success. 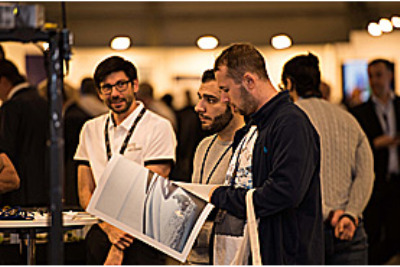 A total number of 1,827 visits were recorded at this year's ECS in Stockholm on November 6-7. ECS was initiated in 2006 by the Swedish Electronics Trade Association, Svensk Elektronik, and now it cements its position as Europe's largest conference with an adjoining exhibition with nearly 2,000 visits in 2017. World-leading suppliers as exhibitors and numerous qualitative conference presentations, tutorials and workshops contributed to the success. ECS remains a truly international event with participants from 25 countries and many of the exhibitors and speakers coming from abroad. This year's conference program consists of a number of sessions with the focus areas Embedded Software, Hardware Solutions, IoT & IIoT, Cyber-Physical Systems (CPS) & Security. The range of sessions and the width of the program is better and more comprehensive than before and this year we have added a conference track making it a total of seven tracks. 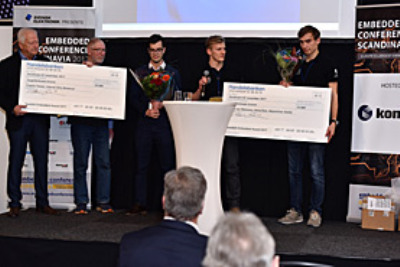 A popular standing element of the ECS event is the awards ceremony for the annual Swedish Embedded Award. The winners are presented during our free industry reception with drinks and networking. The exhibition at ECS is brilliant for getting up to date with the latest embedded products and solutions, making new contacts and doing business, all under one roof during two intense days in November. Meet some 80 world leading suppliers and other organizations, universities and institutes at ECS. Attending ECS is free of charge, but please pre-register in advance.